Please contact owner Kenneth at 541-941-one seven four six. 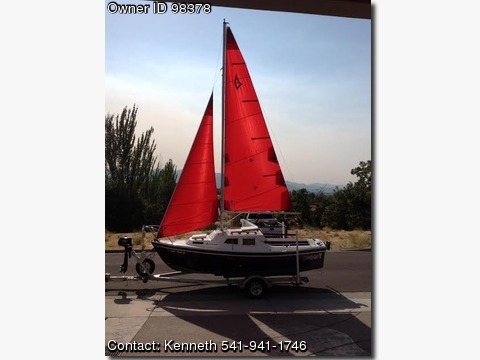 Boat is located in Medford, Oregon. V-Berth filler table, deck pump out for porta potty,bimini, navy cockpit cushions,BBQ with rail mount,fold-away trailer tongue, propeller guard, ICOM VHF Radio w/antenna. AM/FM/CD player with 2 speakers in cabin, dual battery charger with deck plug. Trailer-able, bottom paint, adjustable length boat hook trailer. Mounted motor bracket, cockpit cushions, padded cushion rail covers. Garmin 545 GPS depth sounder premium package many more options.